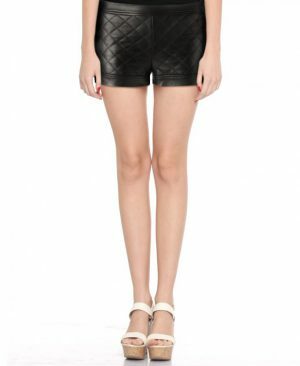 Let comfort and style go hand in hand as you wear these womens pleated leather shorts. Featuring side pockets and zip fly closure, these shorts can lend you an enticing look that’s hard to ignore. Beautifully designed, these high waist shorts with a flared hem can keep you at ease all day long.